Bad Initial Advice. You just hired a lawyer from a billboard, television commercial or radio advertisement. In reality, you really hired a marketer or case broker. That lawyer spends little or no time handling personal injury trials or appeals. Maybe you get some generic advice like, “don’t talk to the insurance adjuster.” But, if you need serious advice for a tricky issue, you won’t get it. Over the last two decades, I’ve seen more cases ruined by billboard lawyers dispensing generic advice for a quick fee. Lost In The Weeds. You retained the advertising law firm. What’s next? Many of these firms are settlement mills looking for the quick settlement or quick referral. If your case requires more, you may be in trouble. Serious cases require real work — Investigations; Witness statements; Accident reconstruction; Medical research; Expert development; and, other work. When the quickie law firm gets cases that cannot be settled quickly, the often sit idle. Nothing gets done. With the passage of time, these cases can become more difficult to win or resolve for significant value. Eventually, the quickie law firm realizes it cannot easily settle your case. So, it turns down the case. At that point, your case has actually diminished in value. And, it may be too late for another lawyer to act. Less Likely To Get Help. The advertising firm wants a quick settlement or referral. It does not want to prepare the case. Case development requires hard work and preparation for civil court. If your case is not a simple case to quickly settle, you may not get the help you really need. I’ve interviewed numerous people who used a settlement mill for their case only to be left without adequate damages or compensation for their injuries. Less Likely To Get Effort. That advertising firm does not want to work hard on your case. Maybe you think you will be OK because they are going to associate a real trial lawyer. Think again! A referral means the two law firms have an arrangement to share the fee. That means the real injury lawyer who will appear and work your case may only receive a small percentage of the contingency fee. He or she may have much less incentive to work your case for a higher value when it makes little difference to their firm. How should you proceed? Look for a real personal injury lawyer who handles cases through trial and appeal when needed. In a prior post titled Seven Tips For Choosing A Personal Injury Attorney, I wrote about some of the factors you should consider when hiring a personal injury attorney. 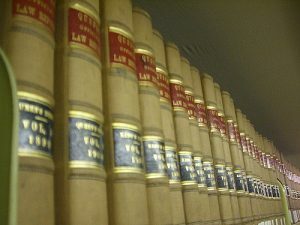 If the lawyer handles many types of legal work (real estate, criminal, divorce, etc. ), think twice before choosing them. No lawyer or doctor can be an expert across the entire spectrum of their profession. If you have a serious injury, it requires an attorney who specializes in personal injury litigation with experience handling that type of case through the complete trial and appeal process. At the Blackwell Law Firm, we specialize in personal injury cases. From our Huntsville office, we represent clients across Alabama. Most of our personal injury cases involve automobile accidents, workplace accidents or dangerous product injuries. 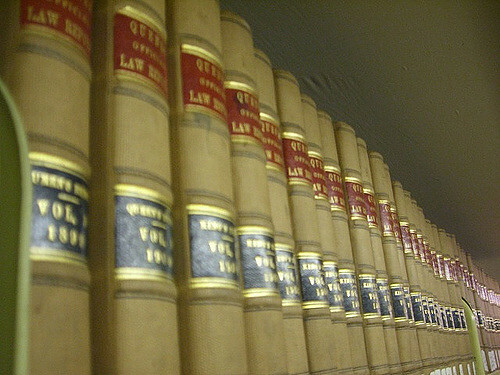 We specialize so we can focus all our effort in this area of the law. If you have questions, give us a call. Consultations are always free and confidential.